On the first deposit, new Australian players will receive 200% welcome bonus up to AU$1000. For the next eight deposits that Aussies make they will receive 100% reload bonus up to AU$500. Joe Fortune Casino is a strictly Australian online casino that has fantastic game offers. It may be a recently launched casino site, but it sure has been popular amongst Aussie casino players. This no-download casino was launched in 2016 and has over 400 casino games that are available for real money gamblers to indulge in. It is supported by iSoftBet, Real Time Gaming (RTG) and Rival Gaming. Hence, there are so many online casino games available at Joe Fortune Casino. The casino online holds an operating license from Curaҫao and is available on desktop and mobile smartphones. Aussie players gambling for real money at Joe Fortune Casino can choose from the various available banking methods which also include Bitcoin. Read on to find out what else this Australian online casino has to offer. New players at Joe Fortune Casino have a lot to be happy about when they sign up to play casino games for real money. They will receive a welcome bonus that is considered one of the best from an online casino. On the first deposit, new Australian players will receive 200% welcome bonus up to AU$1000. To fully claim the maximum bonus, a minimum deposit of AU$500 must be made into the casino account. This is not the only bonus that players can take advantage of at Joe Fortune casino. For the next eight deposits that Aussies make they will receive 100% reload bonus up to AU$500. Be sure to read the terms and conditions before claiming the welcome bonus. In addition to its excellent welcome bonuses, Joe Fortune Casino offers members a unique ongoing set of additional bonuses for members that continue to play on their site including a quality referral system. For every friend that successfully joins the site, a $100 referral bonus will be paid out. In turn, the new member will receive $10 in Free Chips with the site. After the first deposit, Joe Fortune Casino will add members to their Rewards program, which includes 10% daily cash back for player that score 50,000 points in any given month. If you hit that score, you can be bumped up to the VIP level, which includes a higher cash back rate of 15%. For every $1 that is wagered, you will get one point on every slot game and one point on every $4 risked on other games. There are more than 400 online slot and casino games offered by Joe Fortune Casino. The fact that this site uses multiple software providers means that there is more than one super-rich progressive network on display with this site. There is a wide selection of casino games at this Australia casino with the largest variation of video pokies. Choose to play titles such as Secret Garden, Fruit frenzy, Golden Gorilla, Bust a Vault and many others. For Aussies that prefer table games, there are games such as roulette, baccarat, poker, blackjack in their different variants. Play the different kinds of video pokers as well available on the casino site. Other types of casino games include bingo and keno. The game’s menu makes it easy for players to find the casino games that they prefer playing because they are laid out in categories. In addition to the standard set of games that Joe Fortune Casino offers, we decided to take a closer look at two other games in particular that you might be interested in signing up to try out. One of the most unique slots games offered by Joe Fortune Casino is the Stinky Socks Slots game, which has multiple features including 25 winning pay-lines game, free spins, expanding wilds and a special bonus simply for playing this one game with the site. The free spins and scattered wilds will keep members guessing with every single spin they make. Another game members will want to try out on the Joe Fortune Casino is the Exploding Pirates Slots game. This game allows members to set sail on a pirate adventure, hunt for hidden treasures and head to a mystery island where pirates are laying in wait. With features including 25 lines, free spins, symbol transformations and win both ways, the Exploding Pirates Slots are definitely worth checking out. 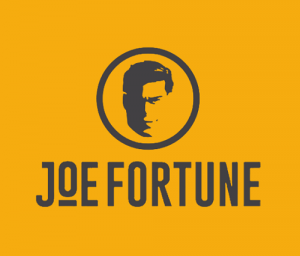 It isn’t difficult to sign up for a Joe Fortune Casino. Once you are on the website homepage you will be prompted to sign up for the first time. Click on that link, and you will be redirected to a page that prompts you to input your personal information in order to sign up. Once you register as a member, the site will prompt you to make your first deposit using the method that you prefer. After you sign up for a new account and make a deposit, you can log on to the site and start playing right away. Simply choose your preferred payment option, input the amount of money that you would like to wager with and confirm the payment. Joe Fortune Casino has a welcome bonus offer in place that you can take advantage of when you make your first deposit with the site. After signing up, it’s easy to long on to the site as many times as you want as a member in order to play the online casino games. Once you have signed up and made your money deposit, simply pick a game that you want to play and try out the account for the first time. The games are listed with individual icons so all that you need to do is click on the game that you want to play, input the amount of money that you want to risk and then start playing. The final step to keep in mind when you create your account is that it is easy to withdraw your balance any time you like. Simply choose a withdrawal method and enter the amount of money that you would like to withdraw from your account. It will likely take between three and five days for the money withdrawal to be processed depending on the method that you choose. Keep in mind that it will take time for the site to process your withdrawal request and make sure that you give yourself enough time for that process to be completed. In addition to playing for real money, Joe Fortune Casino allows new members to play on their site for free. The process is almost the exact same as it is with real money deposits only you aren’t actually wagering on the games. If you want to practice before actually risking real money or just simply play some of the casino games for free, simply choose the option that doesn’t require you to risk money and get in to the action. Just like any real money online casino Joe Fortune offers Australian casino players various ways to fund their casino account. The methods that are available to make deposits and withdrawals from the casino. However, not all of them can be used for making both transactions of deposits and withdrawals. All the banking methods are protected using the 128-bit SSL encryption technology. The various options include MasterCard, BitCoin, Check, Bank wire and Visa. There are three ways in which Australian casino players can get in contact with Joe Fortune. They can send a message directly from the casino site, use the live chat option or even call on 1800 989 024. There is also the option to send an email to service@joefortune.com. Joe Fortune Casino has qualified consultants that are available to assist players with any of the questions and queries. However, before contacting the support team just check out the faqs page and see if any of the questions won’t be sufficient enough to assist. Joe Fortune Casino knows what Australian online casino players want from an online casino. It has catered its offerings to be suitable for Aussies and their gaming taste. It also offers a wide selection of casino games that players can enjoy for real money using their AU$. The disappointing thing about the casino site is that the support team is only available from 08:00 until 00:00 AEST. Joe Fortune Casino does not have a live casino which means players won’t get to experience a live gaming. It is for this reason that we are only awarding this online casino 3/5 stars.